Tickets will include an exquisite three-course lunch with coffee breaks. Upon purchasing tickets, new attendees will be offered a free one-year registration with the IMA (UK), and existing IMA members will get a one-year renewal of membership. 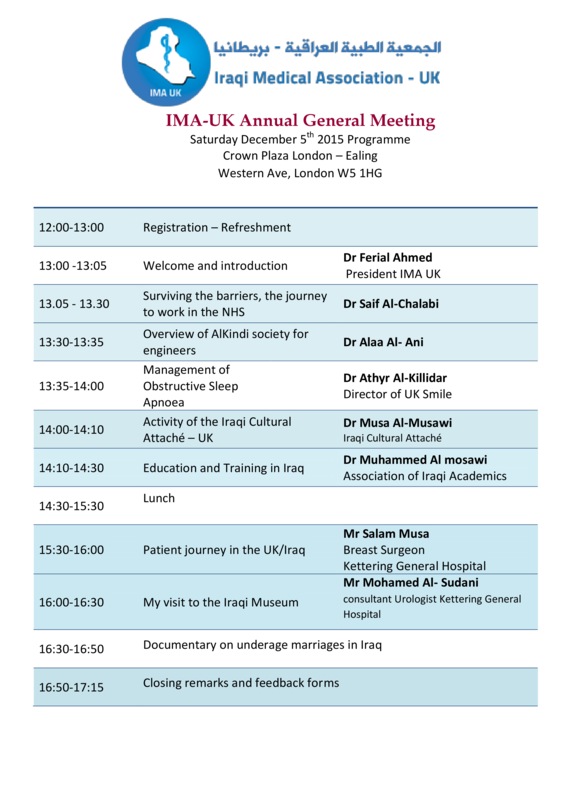 To book places, please send cheques in Pounds Sterling –payable to IMA (UK) only- to 35 Gunnersbury Avenue, Ealing W5 3XD. Along with the cheques, please supply details of the attendees’ names, contact numbers and emails if available. We regret to inform you that we are currently unable to accept online payments. Book early to avoid disappointment!